Imagine though, if we could all fully believe that we aren't bound by distance or time and that life is eternal. I had the experience of seeing myself on another planet and feeling so at home there during a hypnotherapy session. I remember not wanting to leave that experience, and realizing that this was my first time on earth...and that was totally weird for me. I dismissed it as my own imagination...until I read this post. Thanks for sharing...maybe it's time to try another session of hypnotherapy since the last one freaked me out so much I couldn't go back. The guy in this post described Mars and the Moon in detail. Not sure if many would believe what he actually 'saw' though. Interesting that you have 'experienced' another planet. I've always resisted any form of hypnotherapy or hypnotism but must give it some consideration. Fascinating post. Robert Monroe, in his book Journeys out of the Body, provides a detailed method for astral travel. Without hypnotherapy! I've tried a few times to do astral travel as another book suggested but didn't succeed. Must read the book you suggest, well at least put it on my list! If a person can meditate quietly with a blank mind, they can experience a vision as if they are actually present. Remote viewing is like this, though most practitioners do not get crystal clear images or sensory perceptions. Rather they receive a grainy image. Those with psychic or intuitive abilities do much better. 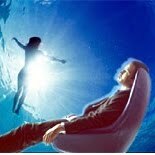 Astral travel is best done through a meditative state without hypnotherapy. A person who can maintain an open mind about things that do not appear logical will have a visual and tactile experience involving the five senses: visual, touch, smell, taste and hearing. Barbara: Many thanks for your words. I meditate most days and pictures do appear but I haven't really related this to astral travel. Must give this further thought / attention. Thanks. Imagine if we fully believe that we aren't bound by distance or time and that life is eternal. In such a belief, astral travel may be a natural state, a breath of peace, a rest. Then when we wake (or return) it is with the reminder that we have chosen the human experience because it is bound by time and space.